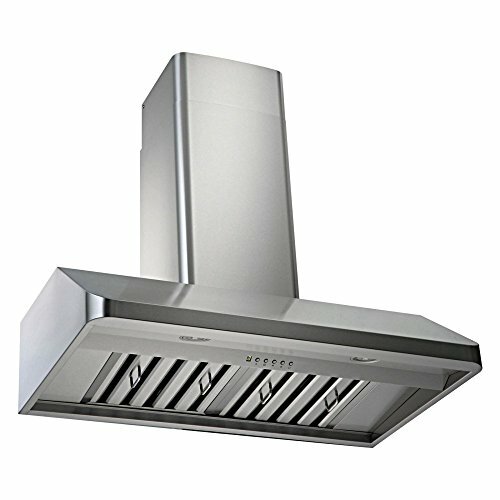 Sleek beveled edge makes this hood the jewel of your kitchen remodel QuietMode setting allows hood to operate at 300 CFM at a reduced sound level of 40 decibels (1.0 sone); other hoods operate at 6-8 sones at that CFM level Time Delay System with 3-minute delay shutoff or immediate shutoff ECO Mode runs the fan on the QuietMode setting for 10 minutes every hour, removing excess moisture and microscopic particles that cause odors for cleaner, fresher kitchen air Two 3W LED lights with 3-level lighting for a bright, safe cooking experience Efficient blower with twin vertical turbine impeller Easy-to-empty catch areas and smooth hood surface for deep cleaning without disassembling the hood Ducting options: Top 6-inch round, Top 3.25 x 10 in. rectangular, or Rear 3.25 x 10 in. rectangular Fits ceilings up to 9.5 ft. high 18-gauge stainless steel wall mounted hood. QuietMode feature for reduced noise. 6-speed 760 CFM max motor with LED display. Removable dishwasher-safe baffle filters. 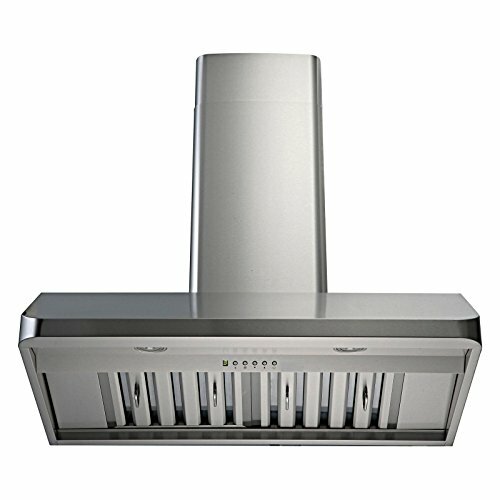 Multi-exhaust system with 3 ducting options. 35.75W x 22D x 7H in.. 2-year limited parts and labor warranty.